CP-Carrillo’s popular features are available for most rod design but for optimal performance and reliability, please discuss application, performance and durability goals with Sales Technician to inquire about how to get it incorporated into your rod design. 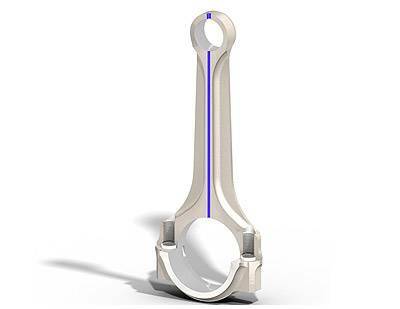 A-Beam A light weight rod design for high engine speeds and limited cylinder pressures. Annular Grooves A radial groove in the pin end. Arc Groove The arc grooves guides oil from the 10 & 2 oil holes towards the 6 o'clock position of the PE. 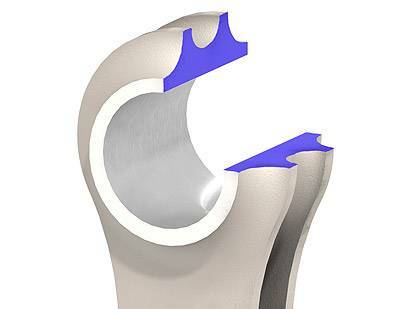 Since the grooves are running out before reaching the 5 & 7 o'clock position, the full bearing surface under compression load is effective. 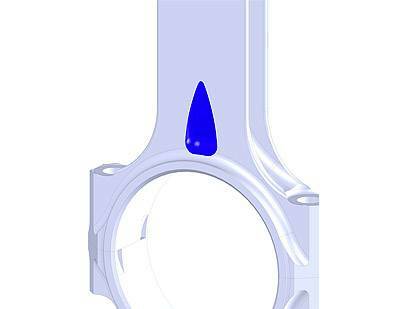 BE Oil Squirters This oil hole in the Big End neck allows pressure fed oil to squirt up to the piston and rod Pin End for additional cooling and improved lubrication. This option can be considered for engines without oil squirters. 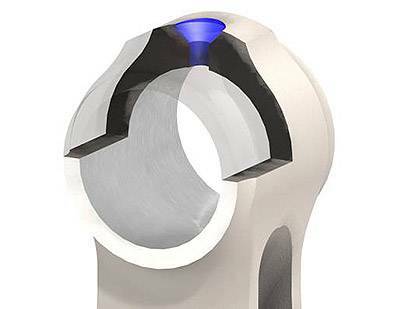 Big end pocket The big end pocket relieves peak stresses at the 12 o’clock position of the big end bore and also reduces weight. Bolts CP-Carrillo employs fasteners designed by CP-Carrillo. We employ two different materials: H-11 tool steel (220,000 UTS) as well as Multiphase TM (285,000 UTS). 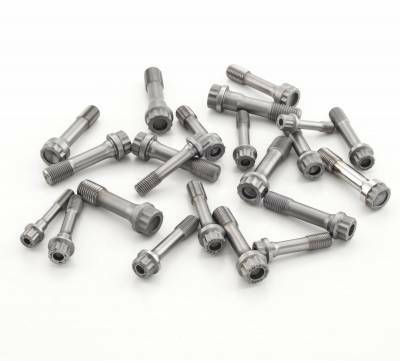 All our fasteners employ a patented thread design as well as the highest dimensional integrity in the industry. 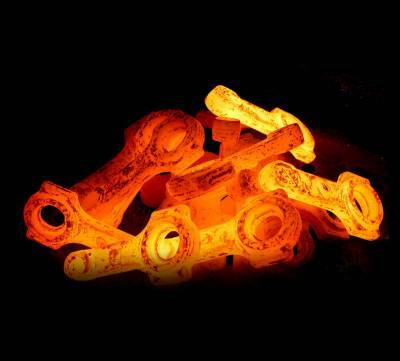 Each lot is sample tested destructively for both ultimate tensile strength as well as fatigue. 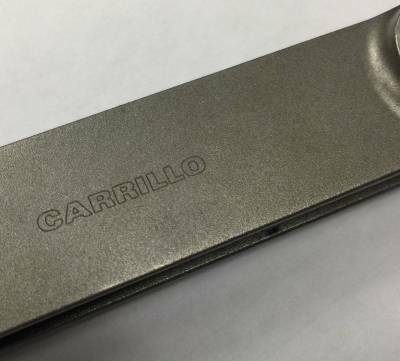 Con Rod Materials In addition to our well known standard proprietary blend of steel, Carrilloloy, CP-Carrillo offers Aluminum for select applications. We constantly research and test potential materials to improve product offerings. Custom Laser Mark/ Serialization CP-Carrillo offers custom laser marking such as serialization, barcodes, text, including any TrueType font, alphanumeric serial numbers, date codes, logos, part numbers, graphics, and data matrix codes. 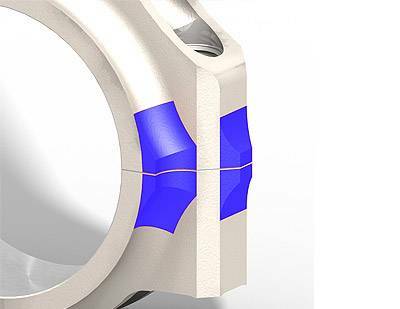 Double Locks To provide flexibility for a rod with different bearing configurations or for rods that required double bearings. Dowel Pin The dowel pin is the alternative option to ring dowels for locating the rod cap. 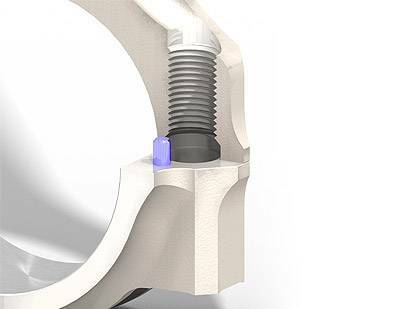 It allows the bolts to be positioned closer to the big end bore for improved big end stability and allows for increased rotation clearance. 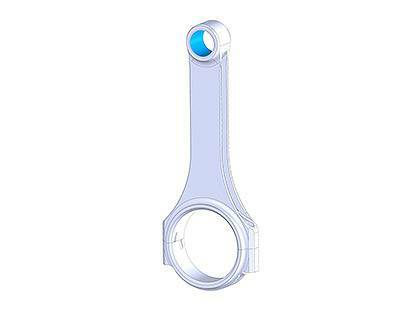 However, this design is less robust in assembly and disassembly than the standard ring dowel. 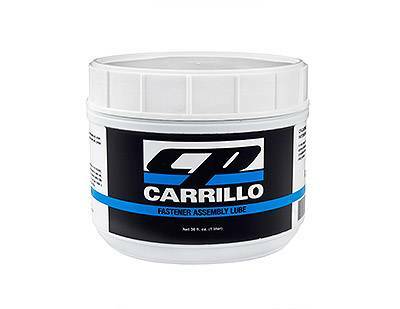 Fastener Assembly Lube CP-Carrillo’s fastener assembly lube is molybdenum based lubrication grease with enhanced properties. 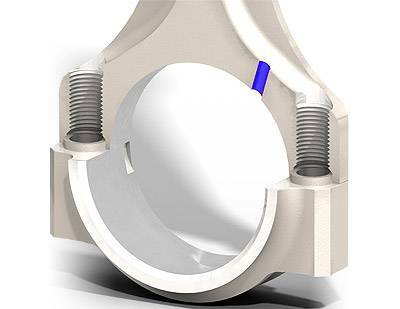 This product offers an improved clamp load repeatability, greater resistance to high pressure and temperature (range -22F to 1200F), and no oil contamination. The coefficient of friction stays unchanged, even after several bolt re-tightening and loosening processes. 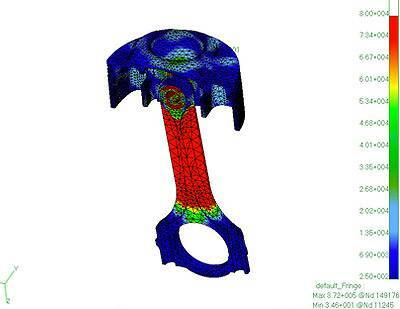 Finite Element Analysis FEA Computer generated stress analysis of con rods. FPO (force feed oiling) Force Feed Oiling, or Forced Pin Oiling (FPO), in actuality does not offer forced or pressurized oiling. 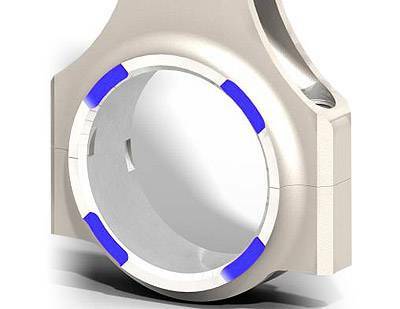 However, by installing a slot behind the bearing and a hole through the center of the rod we have established a reservoir that supplies oil underneath the wrist pin when the connecting rod is pulling mass down the cylinder. It certainly contributes to the longevity; however it is only effectual on one of the four strokes of the engine cycle. 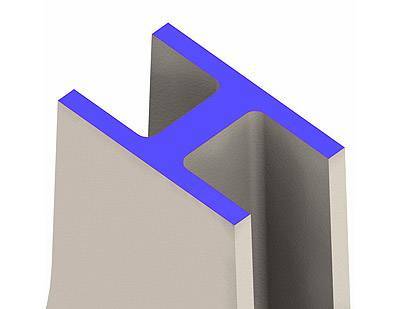 Grooves in Thrust Face For weight reduction and reduced friction, grooves are machined on the big end thrust faces. 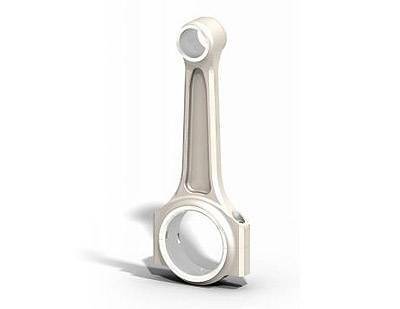 Lipped Cap When tension loads on connecting rods reach the higher limits of today’s automotive engines we have seen an improvement in the big-end integrity by slightly increasing the contact area between the cap and the connecting rod itself. CP-Carrillo’s Lipped-Cap design achieves this goal with minimal additional weight. Because tension load is a product of stroke, piston weight and RPM, this feature is only necessary in very extreme applications. Oil Reservoir on PE A larger "funnel" at the top oil hole gives a better chance to collect oil for the PE lubrication. It is often combined with a PE bump out. 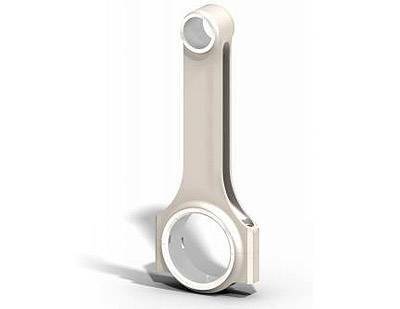 PE and/or BE Lapped Finish Instead of a standard finish, the pin end and big end thrust face are lapped to obtain a finer finish. PE Radius All CP-Carrillo non-bushed rods are manufactured with a 0.020" radius as a standard. 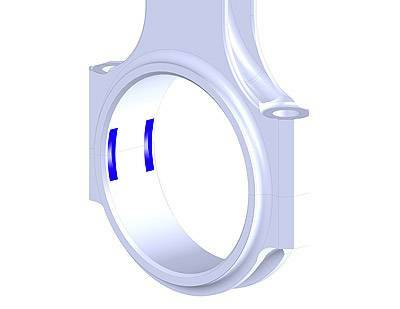 This option gives the opportunity to increase the radius if required for reduced edge loading. 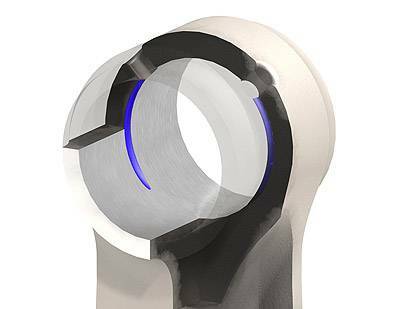 Pin end pocket The pocket relieves peak stresses at the 6 o’clock position of the pin bore. The pocket will not always result in a reduction in weight. 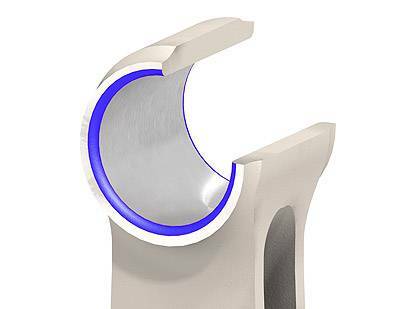 Radius Slot The radius slot represents the well-known and durable standard CP-Carrillo H-Beam Rod design. Ribbed PE This feature has the H-Beam design extended around the PE-strap for increased stiffness / minimum PE distortion under inertia load. An option that is used for high engine speed applications. 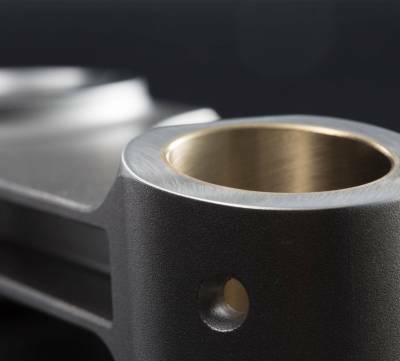 Square Slot A reduced radius in the H-beam slot allows for additional weight saving with minimum compromise of rod rigidity. 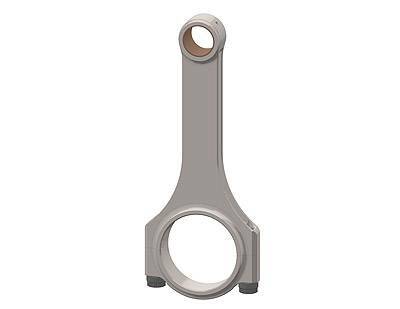 Ideal for applications that are critical on meeting a low target weight. Stepped big end With an increased big end thickness, the big end housing becomes more rigid. Straight H-Beam The stoutest beam configuration available. It is capable of handling the most abusive forces in an engine. Super A-Beam With an increased beam thickness, the Super A-Beam design has a higher load capacity than the regular A-beam design. Super Hone Finish A mirror finish with less than 4 RA on the wristpin bore. Standard included on rod run on steel. Tapered H-Beam The strong H-beam configuration can handle extreme engine loads. 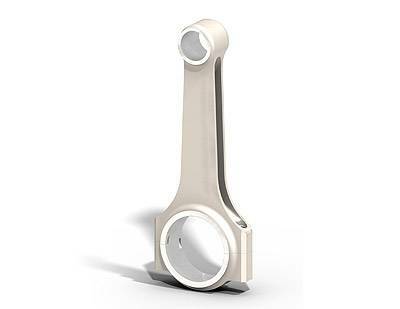 The tapered beam allows for some weight saving on the reciprocation end and gives increased clearance for fully boxed pistons. 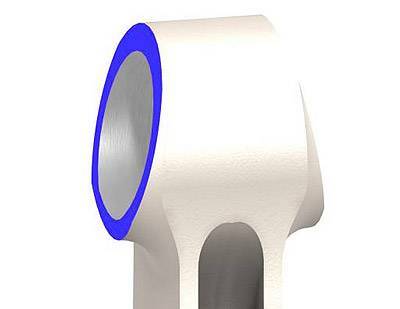 Tapered Pin End To accommodate piston design, the pin end width could be tapered. 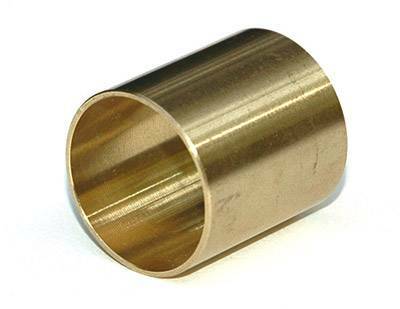 Bushings and Split Bushing CP-Carrillo’s bushings are generally manufactured from Aluminum/ Silicon/ Bronze. As a custom connecting rod manufacturer we also offer a variety of other material such as Nickel/Tin/Copper and Beryllium Copper. 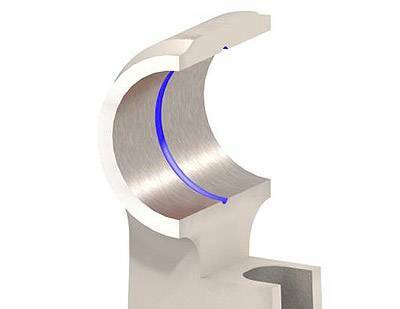 In special and limited applications CP-Carrillo offers the option to run rods without bushings. 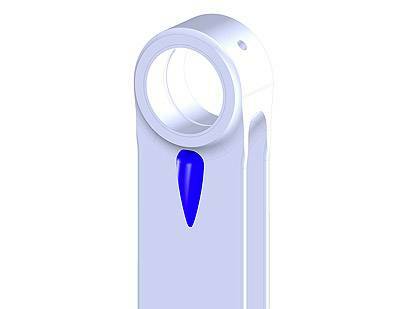 This option requires the use of a special coated pin. Please consult our technical sales engineers for application information.